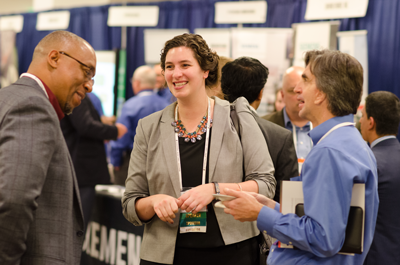 The International District Energy Association (IDEA) works actively to foster the success of our members as leaders in providing reliable, economical, efficient, and environmentally sound district heating, district cooling, and combined heat and power. IDEA represents over 2,400 members from more than 30 countries around the world and from across the district energy industry. IDEA members own, operate or provide technology and services to district energy systems that supply steam, hot water, chilled water and energy services to multiple buildings in cities, communities, campuses, airports, military bases, industry and healthcare facilities. Founded in 1909 as the National District Heating Association, IDEA continues to inform, connect, and advance the district energy industry around the globe. Today, the association has a membership of over 2,400 industry professionals representing more than 30 countries from around the globe. Throughout our history IDEA and our members have always been committed to providing and promoting efficient, reliable, environmentally sound energy to our cities, campuses and communities. Now with the introduction of A Good IDEA we are proud to say that we are committed to serving our communities in a whole new way. A Good IDEA is a community outreach program inspired and led by IDEA staff and their passion to improve the quality of life in our local community as well as those communities that we visit through our conferences. With this new and exciting program we look forward to giving back to our community through various channels such as donations to local charities and staff participation in volunteer activities.